Today I break out my role as “King of Analogies” and explain to you the differences between the Internet address, and your home address. I also help you avoid some of those common pitfalls of iTunes. I get a lot of people that say “My mp3 doesn't have a picture” and today I explain why. I hope you find it helpful. I also explain why i'ts good to have a blog at your website to help you get the attention of Google, but iTunes is a “fussy eater” and doesn't like a blog post unless it has some sort of media (audio, video, or pdf). I was interviewed on Ray Ortega's podcast about Podcasting called “The Podcaster's Studio” and I had a great time talking about how I got started with podcasting, why some of my early podcasts failed, and what equipment I use. Ray is one of the nicest guys on the planet, and I love his podcast because we both get to the point. Check out the interview at Ray's Site. Apparently this is part I. thanks so much to Ray for having me on. If you'd like to have me on your podcast, I would love to talk podcasting, or my book More Podcast Money, with anyone. I was recording using a Blue Icicledirectly into my computer and intro Adobe Audition, and my computer crashed. I don't think it matters if you're using Audacity (free) or Adobe Audition ($330) if you record directly into your computer you will eventually lose an episode. This is why is use an Roland R-05. If you are looking to just get the recording off your computer, the Zoom H1 would work. iTunes only recognizes blog posts with media (audio, video, pdf). When you create your website you have one RSS feed that has every type of posting (blog/text, or podcast with media). iTunes still acknowledges your blog (non media) posts but it doesn't display them in iTunes. If you have 10 items in your feed, and you create 10 blog posts, iTunes will appear to have no episodes listed. 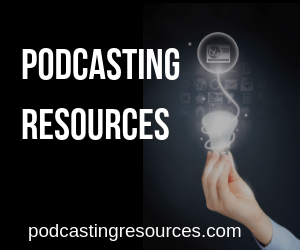 The key is to create a category for Podcasts, and take that feed and submit it to iTunes (via feedburner, or using Powerpress plugin). Then you can blog all you want (text only no media posts) and it won't effect your iTunes listings as it will only see those items with media. There are two places that iTunes displays information about your podcast. These are entered typically in one of two places. These are feedburner.com, or using the Powerpress plugin. This then takes your RSS feed from your website and adds “special” itunes information. When you submit your feed to iTunes it creates a listing for you in the iTunes directory. This includes your album art, description, etc. This has nothing to do with your media, and only applies to your listing in iTunes. The other place that people notice information in iTunes is when you play your media in iTunes (or your phone, or iPod, etc), and there is no artwork displayed. Many people feel that they entered iTunes information (which we just said is only for your listing and has nothing to do with your media). You need to add ID3 tags to your media before uploading it to your media host. If you don't when people listen/watch it, it won't display any album art. While your website host may claim to have unlimited bandwidth, when you throw podcasting into the mix, you will probably find a spot in their terms of service that prohibits file sharing. With this in mind you need a media host. I talk about four media hosting companies. Amazon S3: Sounds cheap until you get some episodes under your belt. If you get popular, it can get expensive. I ended up with $43 media hosting bills. No thanks. Podbean: I have two issues with them. First, they prohibit you from promoting third-party items on your show (so if you get a sponsor, or find an affiliate program that fits your audience – for more info so morepodcastmoney.com) . Second, I can find out who runs the company, or where they are located. This is not the case with blubrry.com and Libsyn. My goal was to compare apples to apples. Same: Podcasting companies started by podcasters. They have great service, great stats, can add iTunes tags if needed.They both will help you find advertising. 250 Meg packages: These allow you to upload 250 megs of episodes a month. the Blubrry plan is $20. The Libsyn plan is $15. The blubrry plan allows you to have stats inside WordPress, allows you to upload directly from WordPress, and will add your ID3 tags for you. Libsyn is $5 cheaper. $20 Packages: If you spend $20 a month at blubrry you get 250 Megs that I mentioned earlier. With Libsyn if you spend $20 a month, you get 450 megs and a personalized Smart Phone App (iPod and Android). If you want your own Smartphone app, this is by far the easiest way to get one. Bottom line: Blubrry is slightly easier to use as everything is done within WordPress (for the record this does not mean Libsyn is “hard” it requires you to copy and paste some info), but its more expensive. 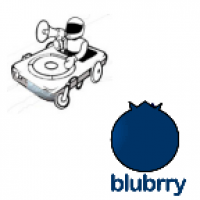 When I have a “technologically challenged” person (who isn't interested in giving away bonus content, or selling a Smart Phone App) I might recommend the blubrry package. If your on a budget and watching every penny, Libsyn is a great choice. In both cases you need to login to your account (even with Blubrry) to have proper labels on your stats. Do not forget that only Blubrry allows you to get on devices like the Roku, Boxee, Lookee TV, Samsung SmartTV and a host of other devices with your account. Not to mention money making opportunities etc. Great point Todd. Will point out in next podcast. Hi Dave, fantastic show that comes at a good time for me. I’m ready to move my show from free services like Audioboo and Mixcloud over to Libsyn or Blueberry. I must admit that you didn’t make my decision any easier though LOL!! At this point, I might as well flip a coin. You did give me all the details and answers to a lot of my questions. It’s funny but I never even considered Podbean and now I’m really glad I didn’t. Thanks so much and I’m sure that I’ll be reaching out to you soon. Thanks for all your really good infomation. i just signed up for the Libsyn 250 account and realized. I’m ok with the 250mb per month for adding new shows, but how do I get all my 90 previous episodes up onto Libsyn? iWeb is kicking us out. contact and they will work with you to get your old episodes up. This was an awesome article!! Thank you so much for saving me a lot of time. I have a question about rss feed. You say in your post: “… take that feed and submit it to iTunes (via feedburner, or using Powerpress plugin). I’ve had a podcast for several years now and the feed that iTunes has for it is the one automatically created by Libsyn. Why isn’t that option listed? You are correct that would be another option. Much like Feedburner, and PowerPress, Libsyn has an “Escape oute” in the event you want to switch. At this point I would not recommend feedburner unless I absolutely had no other option. Does LibSyn have phone support? Chat support? I understand that Blubrry does not have phone/chat support. Are there any others that do? Both have forums/knowledge bases. Both have email support. 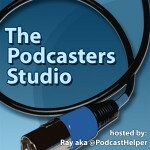 And if you’re a member of the School of Podcasting I can always help you. A big factor everyone should consider is stats. One of the most important aspects to podcasting is interacting with your audience. Blubrry has one stats package that includes geographics of your audience. You must pay at least $20/month at Libsyn to get that (and if you change in the future, you lose access to such information).? You can export your stats in Libsyn to an Excel file. Thanks Dave. I know you can save the old information. What I meant is, geographic stats are important, and if you don’t pay for the premium service (which many people won’t need) you will not get continued access to this information, which should be basic in my opinion. You always get this information with Blubrry. That Libsyn bundled this information with the smartphone app package is rather illogical to me. Just let us all have this information, and let that package be for people who care for the development of an app. I didn’t realize that wasn’t how it used to be. I wonder if we can expect further decline of Libsyn’s services. I can see why you would think its a decline. I think as podcasting grew and more and more people started to get bigger downloads, they had to adjust their pricing to be profitable. They could charge next to nothing when we all had 40 downloads an episode. When it changed to 400, and 4000 I’m sure they started to feel the pinch. Great content! I especially appreciated the Libsyn vs. Blubrry comparison. I have one podcast that I self-host and use Blubrry with, and another in the works. But I have a video production company and I am considering podcasting-as-a-product for my clients and I know Libsyn has a service for this, but I haven’t checked into if Blubrry does or not yet. Thanks for helping us one. I was searching for an answer to decide between podbean and libsyn. You hit right on nail when you mentioned Podbean does not allow 3rd-party stuff; I almost sign up a plan with them. Now, it’s time for me to compare Blubrry and Libsyn. Am I understanding this correctly. Blubrry you can upload upload 250 megs per month, what about the other files on the server? Libsyn you can upload 400 megs per month, what about the other files on the server? Are the files already on the host – no charge? In other words is the uploads thing by the month is the way the service is charged, and all downloads/plays of those files are included? I understand Blubrry and Libsyn each has a mobile app, do we pay for it or pay for each individual license? In other words, is the app free to our viewrs/listeners or do we have to charge for it? You can upload 250M of media files. Your website hsould be on a web host. Blubrry.com does NOT have a mobile app. Libsyn.com does, but if yo uwant it to be free you need to get a license from Apple ($99/year) and your free goes up an additional $10 per month for supporting the app. If you don’t get the Apple license the lowerst you can caharge for the app is $1.99 of which Apple takes 30% and you split the rest with Libsyn (but you pay nothing to get the app developed). You can see my app at http://www.schoolofpodcasting.com/appp you can do additional items for the android side ($25) etc. Thanks for sharing, would you like to take a look ours? I can but dropbox does not offer unlimited hosting, and unlimited bandwidth so it has two strikes against it. I don’t know if they have changed their TOS but Podbean no longer disallows podcast sponsorships or affiliate marketing. They just don’t have an affiliate program for referring other user to their paid hosting plans. If I am using USB microphones directly into my computer, can I also record a backup file on an external recording device like the Roland R-05, through the other USB port in my computer? What is the best way to make a backup recording with USB mics running direct into computer and recording on GarageBand? Great review. As Jeremy mentions, readers need to remember YMMV especially as the world of hosting and podcasting continues to evolve, do do the TOS (terms of service) and general models of the different providers. What Dave alludes to in a few places, also remember that who may be perfect (or best) today, may not be best for you tomorrow (either as your needs grow or shrink), so the ability to move your feeds may be key. Thanks for the review. Would you still have the same conclusions in 2015? Ive looked at a log of shooting over the years. Only Libsyn and Blubrry pass my criteria. I am having a hard time redirecting from the default web page in Libsyn to our website. Libsyn says that we can edit it anytime via Edit Show Settings, I have already done that but the changes has not reflected yet in iTunes. Do we have to pay for it? Please help. Thank you. I’m trying to decide between Libsyn and Blubrry and came across your site. It seems that another “apples to apples” comparison is necessary. If you produce 4 half-hour episodes per month, 100mb is plenty of storage. At Blubrry, you can sign up for the $12 package and get their premium stats. At Libsyn, you have to sign up for the $15 package for much more storage than you need and you only have access to the basic stats. Therefore, in this scenario, Blubrry is less expensive. Libsyn gives you a lot more storage for that $3 but it’s overkill for what you really need. Sure, $3 per month isn’t much, but when you consider web hosting, media hosting, domain registration, and any premium WordPress plugins,a couple bucks here and a couple bucks there can add up. Blubrry will tag your files for you while you upload them. Libsyn will publish to Facebook, Twitter, LinkedIn and more when you publish. There is no bad choice, both are good. Use the coupon code sopfree to get a free month at either site. Is podbean really free and does it work with iTunes? Most free plans you get what yo pay for. Podbean shows people on their front page that are NOT using their service. Thats false advertising, and for that reason, I don’t recommend them. Thank you for this article. Brand new to podcasting and just trying to figure it all out. I’m now working on my website. I see Libsyn comes with a free website. Any advantages to using this site over creating a wordpress site? In other words, would recommend WordPress or the included Lybsin site? Thanks again! 1. libsyn vs blubrry: which do you recommend for someone doing video podcasts with live google hangouts? 2. what themes might you know about suitable for a video podcast website? Hi, Thank you this is very helpful. I’m trying to figure out the ID3Tag on a macbook pro. I signed up for Libsyn. But because my website is WordPress, I’m thinking I should just switch before I upload any recordings and use Blubrry because of the ease of the powerpress plugin. I don’t understand how the powerpress plugin could work with Libsyn. Does it? And then do I still have to have another ID3 tagger or will powerpress do it automatically even if I have Libsyn? I’m debuting 7/28/15 if I can get all this solved quickly. One hidden cost if you are have been podcasting for a bit: Transferring your existing content into the service. Is podbean worth looking at now that this article has been up for 5+ years? The only thing I’d add is that Libsyn has a $99 yearly fee (plus $50 activation fee). I think at the end of the day you probably end up spending the same, if not more, with Libsyn. What do you think? I am just starting a podcast. I am recording episodes and creating my website. My question is this. I plan on hosting with Libsyn and have just assumed I would use Powerpress. But in this article, and others I have read, including getting info directly from Libsyn, you mention the concern about the RSS feed eating up shared hosting website bandwidth. I thought that was only a concern if you hosted the podcast media files on your website hosts servers? Libsyn says that even having just the RSS feed from your website is a big concern because of bandwidth issues. So if I host my podcast files with Libsyn, use Powerpress to generate the RSS feed, is my shared hosting provider going to come back to me and say I am using too much bandwidth if my podcast really takes off and garners a high volume of downloads? If you could help, that would be great. I doubt your RSS file will cause an issue with your host. My question is when you control 100% of your feed with libsyn, and you NEVER have a chance of it being in conflict with other plugins, why would you use PowerPress? It’s not a bad plugin, so it’s not that I don’t trust PowerPress (Angelo as a great guy), butI don’t trust the other plugin developers, and I’d rather not tempt fate.